The motorbiker revs the engine, the sound echoing in the distance, a cloud of dust rises up, the wheel spins, the biker does a wheelie, his long hair flying in the wind from which he is protected by his leather jacket and sunglasses. And then you remove your judgement glasses, you find that the biker is wearing a helmet and all the protective gear required, his bike is clean and quiet and he rides with a simple joy that doesn’t necessitate fancy tricks! Meet the Roadshakers, who are out to dispel every myth possible that people have about a motorbiker, and at the same time raise awareness about road safety and related issues. The Roadshakers is India’s oldest and Pune’s most famous motorbiking club dedicated entirely to the Royal Enfield motorbike. 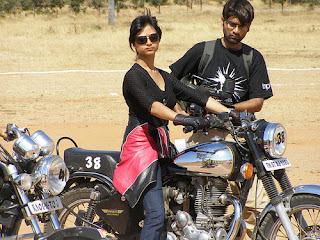 The only criteria of membership is a bullet, and of course a passion for riding. They started off in 2001 with about eight members, from different backgrounds and professions, and have grown to a following of 300 in the city. “What binds us together are our bikes and our love of riding and exploring different places and terrains,” says Baljeet Singh Kochhar, one of the founders. Roadshakers are very well-known in the city. On their weekly rides, a group of 20 to 25 motorbikers in protective gear cruising in formation on their bullets make a sight to behold. When they pass villages on their weekend rides, the villagers rush out to see them. Baljeet laughs and says, “People take our pictures and some just stand amazed with their mouths open while others start clapping. Roadshakers also initiate and participate in social rides to create awareness for different causes. They have held AIDS awareness rides and rallies to create awareness about Regional Transport Office (RTO) rules and road safety. They are careful about following the rules and always wear a helmet and other protective gear. “We are trying to change the image of a motorbiker, and want other riders also to become disciplined and aware of the rules,” says Baljeet. This is for guys who are quite disappointed by the puffy silencers on their New Royal Enfields ! Here's how you can transform your Royal Enfields into a likeable thump of the new generationWe are authorized distributors for Goldstar silencers with conical baffles. 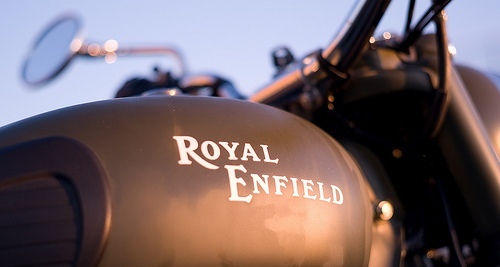 These are the best alternative for the new royal enfields lacking the punch in their beats. 1) Does not affect the mileage of your bike. 2) Does not have a heavy back pressure that could ruin the engine in the long run. 3) Has a mellow sound during idling & not a harsh one, but a moderate & effective punch during the ride that could give the 2nd looks. Please do not buy unscrupulous parts from unauthorized people just because you get it cheap. Rs.3200/- Door Delivery at select locations all over India.